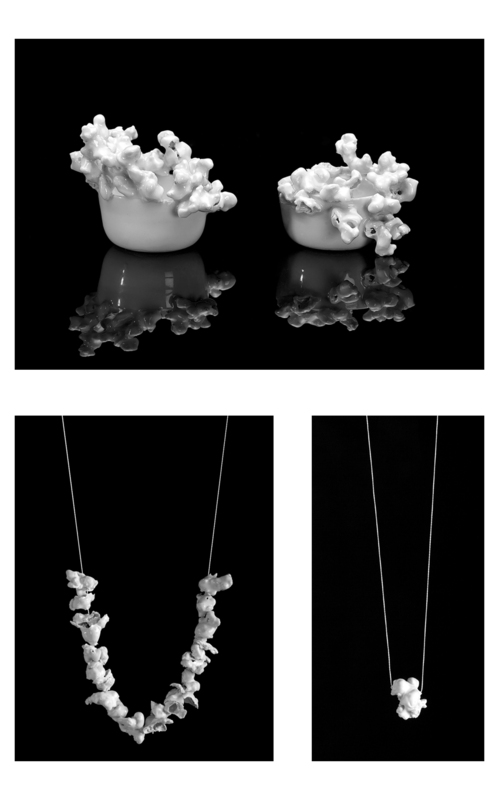 Series of Popcorn Bowls (2006 – 2014): a study of porcelain and experimental material use. I made the first Popcorn bowls while still studying. The ceramic studio at Arabia occasionally filled with the smell of popcorn as I used the common kitchen’s microwave to pop up my material. 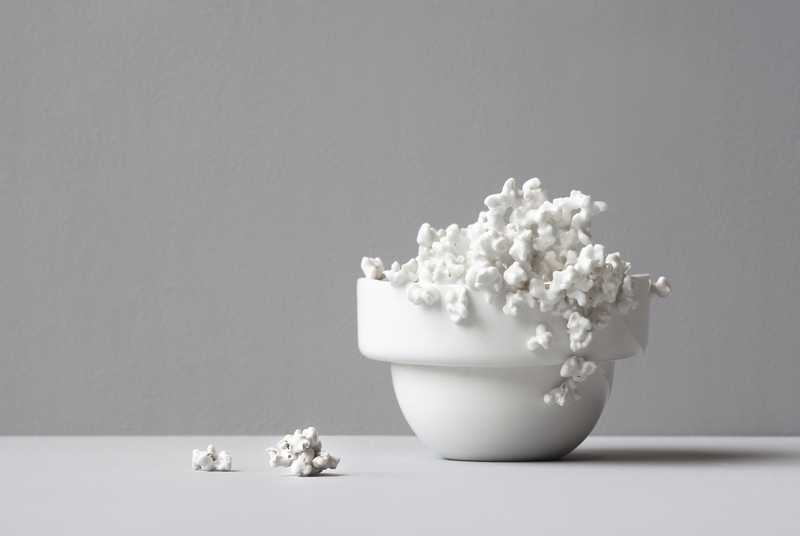 I heard afterwards from other students that they thought I had gone mad – making real popcorn transformed into porcelain.